Elisabeth became the owner of The Little Yoga Studio in November 2018. Taeler began her yoga journey at the age of 19 when she found yoga to be an infinite source of physical and spiritual healing. She studied under Ganga White at The White Lotus Foundation and continues to deepen her studies in restorative yoga therapy. She has taught yoga to students of all ages, from kindergarteners to the elderly. As a dancer and a gymnast yoga naturally complements her lifestyle by both challenging her physical being while nurturing past injuries. She is passionate about aromatherapy and uses essential oils to complement her practice and teaching. 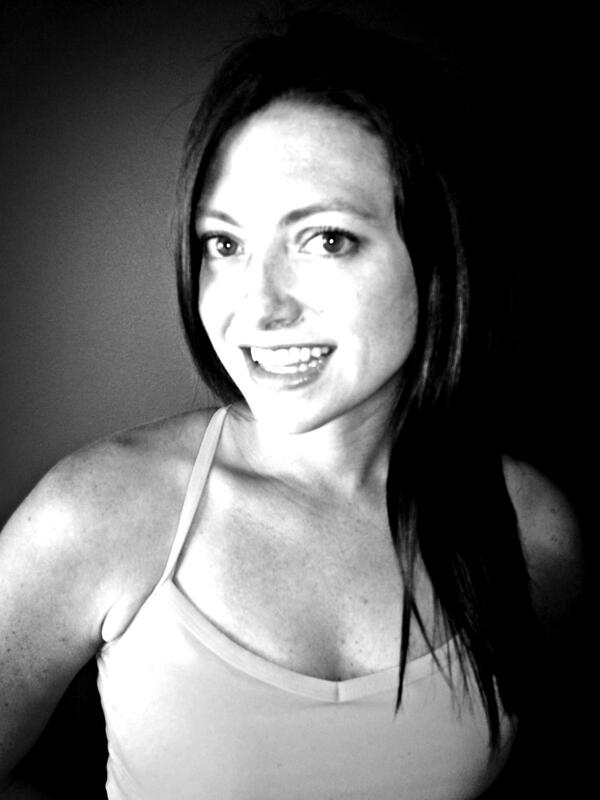 Taeler is certified in restorative yoga therapy and in Reiki healing. 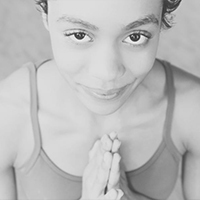 It is while attending her first restorative yoga class that Dominique felt the powerful and wonderful release that she needed at that time in her life when she was suffering from chronic pain. From that moment she became more and more involved in the practice and study of yoga and in 2005 she enrolled in a teacher-training program to become a certified yoga teacher (RYT200). Her sweet, friendly and caring personality is a powerful positive energy that can be distinctly felt in her classes. The restorative yoga class she teaches helps connect body and mind in a very nurturing, gentle, and relaxing atmosphere. As a former registered nurse and a massage therapist, she integrates her medical and holistic background by infusing her sessions with Reiki, massage, and essential oils. Based on her own journey she strongly believes that self-love and self-care are essential to our health and happiness, and her goal is to teach other how to achieve it. Sara has been practicing yoga since 1999. Like so many people, she began yoga for physical benefits. With numerous knee and shoulder injuries from competitive tennis and running, she turned to yoga for rehabilitation. The therapy went far beyond her joints, and started to resonate in her mind and spirit. From surfing, to traveling, to being a student of natural medicine, she has been able to integrate yoga philosophy into all aspects of her life. Sara received her 200hr certification from White Lotus Foundation in 2006. She has been blessed to study under many renowned teachers including Ganga White, Tracey Rich, and Gerhard Gessner. This stylistically diverse group of teachers has allowed Sara to find her own unique heart-centered and down-to-earth approach to teaching. Her alignment based vinyasa flow classes emphasize the synergistic effects of connecting the body and breath. In addition to completing the 300hr Yoga Works training in 2010, she also received her Masters in Business Administration. Elara discovered yoga as means of stress reduction and physical exercise while in graduate school in Boston, MA, where she was studying clinical psychology. 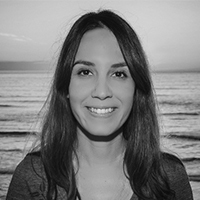 Elara was amazed by the emotional, spiritual, and physical benefits of the practice and upon completing her Masters Degree she followed her heart to San Diego, CA, where she became certified in Hatha/Vinyasa and Yoga Nidra. 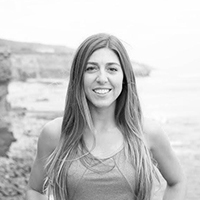 Elara uses yoga and meditation both personally and professionally with her clients as a means of transformative healing and as a tool to facilitate a deeper connection with the body, the higher self, and the earth. Elara is passionate about the natural healing benefits of plants, animals, crystals, and the elements and incorporates earthing practices into her yoga classes. Elara is also working on creating a center for sustainable living on her family’s land in Brazil where she hopes to lead retreats and workshops on wellness and sustainable lifestyle practices in the coming years. Dorothy earned her 200 hr yoga teacher training at The Little Yoga Studio in 2012. Since then she has earned two Restorative Yoga Teacher Training Certifications and holds certification in Reiki and Sound Healing. In 2015, Dorothy became the Yoga Teacher for the San Diego County Recreation Department at Waterfront Park. Dorothy is currently attending Yoga Therapy Teacher Training at Loyola Marymount and is finishing up her certification in Tibetan Bowl Sound Healing. You can experience the vibration of the Tibetan Singing Bowls during her Yoga Classes where she plays them on and off the body during Savasana. She has a Bachelor of Music degree in Global Music Composition from San Diego State University where she discovered her calling to blend the modalities of sound and yoga. You can listen to her music compositions designed for deep rest and relaxation on her album titled: Music for Restorative Yoga. In addition, Dorothy has over 300 free original guided meditations available on her youtube channel: 365DaysofMeditation. Cristina began practicing yoga as a means to manage the stress she was experiencing in her career as well as the chronic pain she had been struggling with since childhood. Meditation, pranayama (breath control), acupuncture & Reiki were introduced to her at a time when she needed it most and realized the importance of taking the time to nourish the body, mind and spirit in order to achieve optimum health and wellbeing. After taking a Yinki® class (yin yoga with Reiki energy healing) one evening, she instantly felt the healing benefits of her practice- physically, mentally, and emotionally. Cristina felt inspired to deepen her understanding of yoga and decided to take a 600hr Hatha yoga therapy program through Shafa Yoga. She then did further training as an integrative healer, Yinki®yoga teacher and mentor through Tranquility Wellness Center. 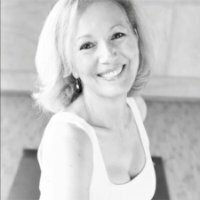 Cristina is also the founder of Sacred Balance Integrative Healing haring the therapeutic benefits of yoga, meditation and integrative healing has truly been a life changing and humbling experience for Cristina. Her mission is to inspire others to bring balance to their lives- physically, emotionally, mentally, and spiritually so that they may realize their full potential. Danielle originally found the way to her mat as a means to create a more balanced and healthy lifestyle. It was love at first breath and she quickly realized that when she kept a regular practice that other aspects of her life felt more balanced as a result. Danielle believes yoga is truly for everyone and creates a safe and welcoming environment to students of all levels. She teaches a grounded, and well-balanced class with a focused attention on alignment and breath control. Her classes can be described with a sense of calm endurance, inviting students to take their practice a little deeper with the use of movement and breath. 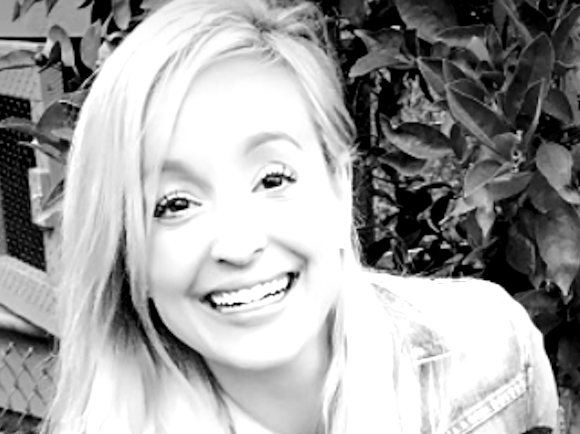 In 2012 Hannah began immersing herself in yoga and the practice became integral in the process of healing traumas and releasing former addictions. Inspired by the diversity and depth of the offerings, she enrolled in teacher training at Happy U Namaste and massage therapy training at ICOHS. To Hannah, the everyday practice on and off the mat is a limitless progression and unity of body, mind, and spirit. She aims to share the gifts she has received from her teachers, her personal exploration of the practices, and to hold space for each student to express and explore their personal experience. 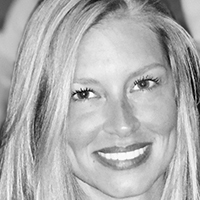 Lauren discovered yoga in 2005 and watched it transform her life and relationships. After working in the corporate world for 10 years, she left her fast-paced, high-stress job to pursue her true passion, which is bringing others the joy that yoga and meditation has brought to her. 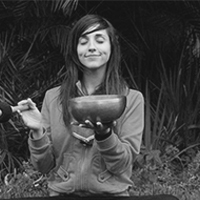 She is formally trained in transcendental meditation and has had a strong personal meditation practice for years. She loves to teach a variety of mediation methods including compassion (metta), breath / mantra based meditation and guided visualization. She is also experienced in multiple styles of asana practice including Ashtanga, vinyasa & restorative. 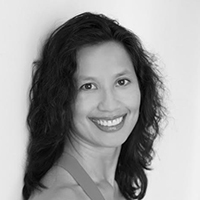 She enjoys teaching a variety of classes from a vigorous vinyasa flow to a slow and meditative restorative. Lauren is a big fan of personal touch and her goal is to have each person leave her class feeling refreshed, supported and free. Sarah started her Yoga practice in 2009 and quickly began to realize the physical and emotional benefits a regular practice offered her. Working a demanding career and having suffered from back and shoulder pain from sitting at a desk for 8+ hours a day, she decided to dedicate herself to a regular Yoga practice in an effort to help alleviate the pain and stress of the daily-grind. Within months of her practicing her back pain nearly subsided and she learned just how powerful thoughtful breath and quiet meditation could be when dealing with everyday, stressful situations. She knew she wasn’t the only hard working professional that could benefit from a daily Yoga practice and in 2011 decided to obtain her 200 hr Yoga certification at The Little Yoga Studio in the hopes to be able to share the gift and discipline of a daily Yoga practice with others going through a demanding career, just like herself. Her goal in teaching is to guide her students to find peace, acceptance, and strength in their practice, while at the same time finding their edge and breaking through arbitrary physical boundaries students put on themselves. “I believe that, with enough practice and dedication, everybody can do a Scorpion! Angelle’s yoga journey began overseas when she moved to Europe in her late teens. Seeking ways to increase strength, flexibility and body awareness, she joined a yoga studio in The Netherlands where she was introduced to yoga asana and kundalini yoga for the first time. When her membership expired, she began practicing in her apartment with youtube tutorials and began a personal practice… but without much guidance. It wasn’t until her early 20’s after experiencing some life changing trauma and moving back to San Diego did she seek out formal guidance with a teacher. Angelle began studying under Gerhard Gessner in a 200 hour vinyasa teacher training, and then decided there was so much more to learn and jumped immediately into Gerhard’s 500 hour teacher training under the mentorship of Sara Deakin. 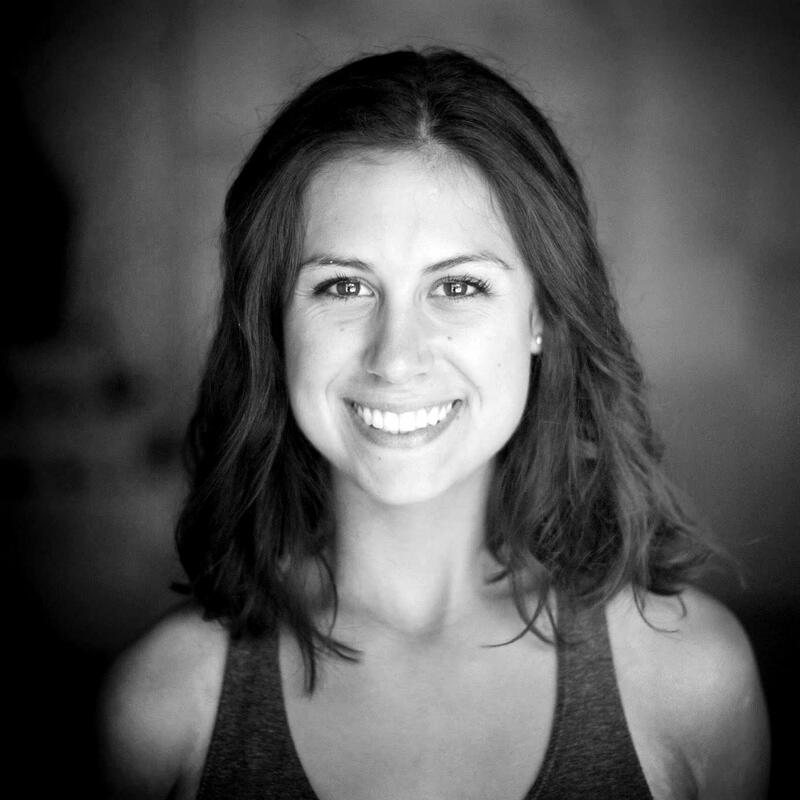 Angelle practices and teaches mostly a vinyasa-flow style class, but loves to incorporate breath work, and restorative influences. Angelle’s goal with sharing yoga is that everyone who comes to her class finds a safe space there, and leaves feeling better than when they entered the room both mentally and physically and hopefully spiritually. Irene began practicing yoga in 2006. After leaving an accounting career that required long hours of sitting and hunching at a desk and computer, she was intrigued by yoga’s rehabilitating effects on her aching low back and stress level. Irene’s yoga teaching influences are YogaWorks’ Kori Flechtner Strobl, Miramar College’s Jessica Matthews, and MiraCosta College’s Stacy McCarthy. Irene enjoys introducing yoga to new students and inspiring them in a safe and thoughtful manner. In addition to keeping up with her own yoga practice, Irene is a Jazzercise aficionado, San Diego City College senior tutor, and doggie mom to three rescued Chihuahua mixes.